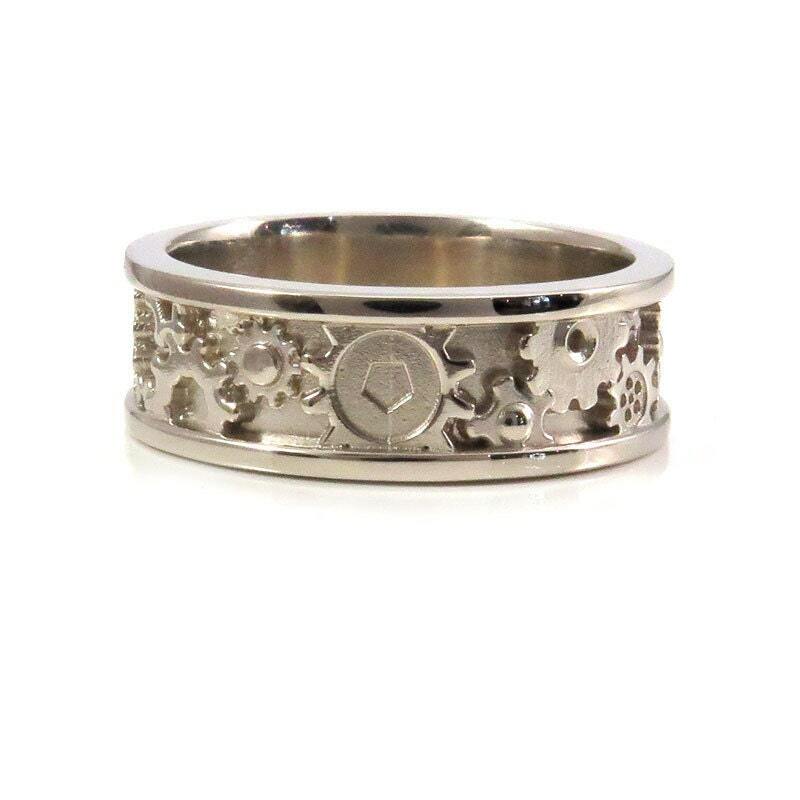 I designed this sleek and subtle mens gear ring in CAD, then it was carved in wax on our CNC mill. That wax is then used to cast each ring individually using the lost wax casting method. 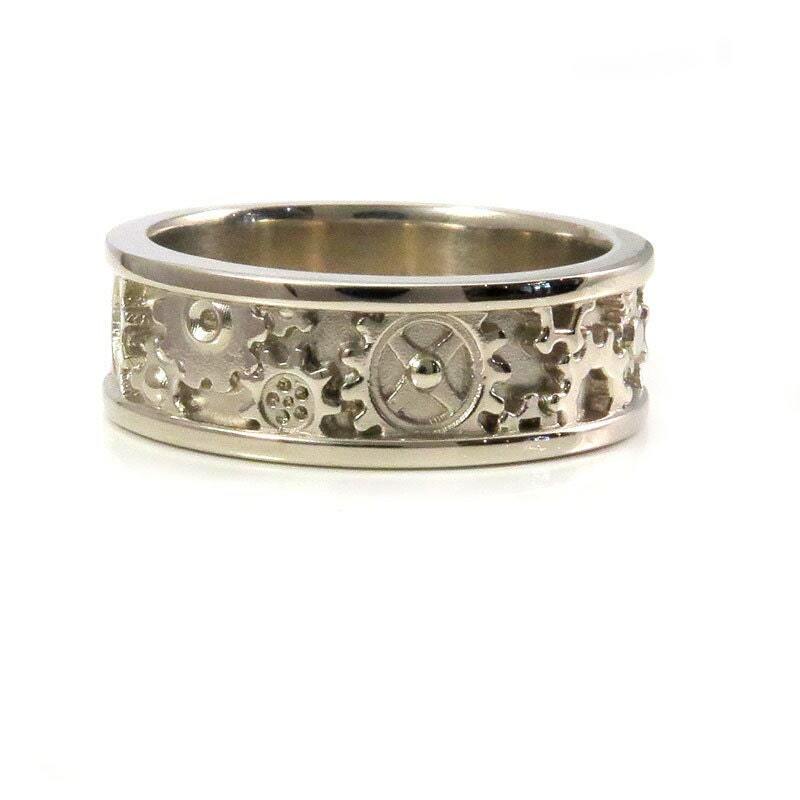 The ring is shown here in 14k Palladium white gold which is nickel free. We do not plate any of our metals. 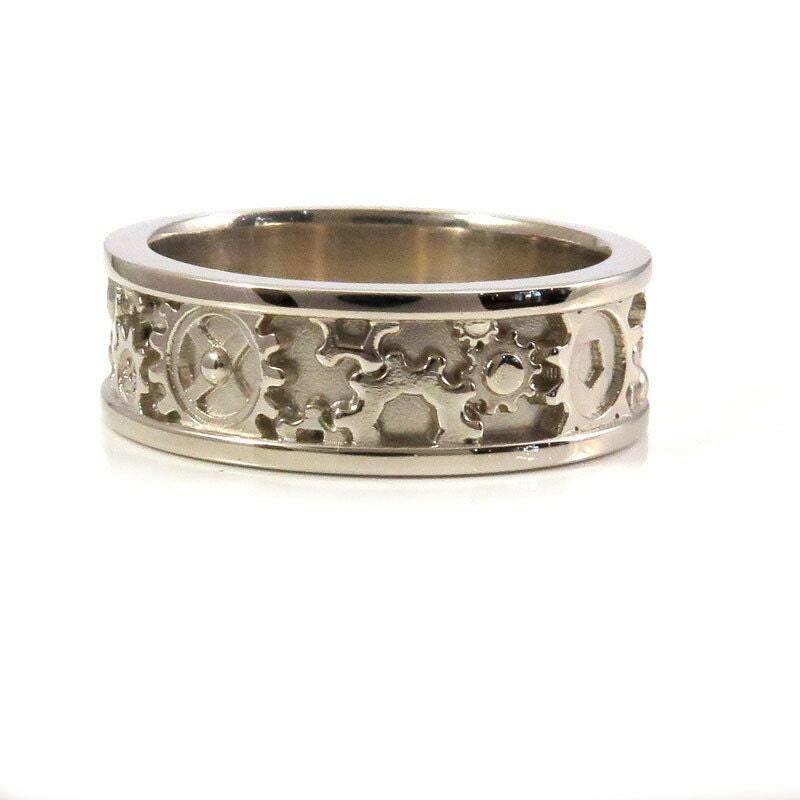 This ring is just under 8mm's wide and comfort fitted. **PLEASE NOTE** The gears in this ring DO NOT move, they are stationary. 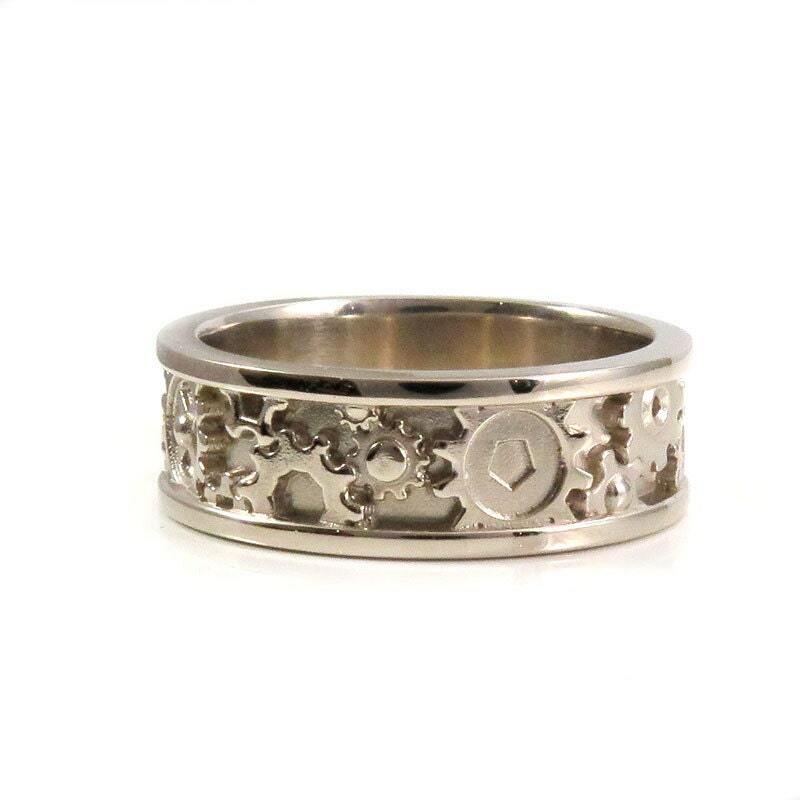 ♦ Unsure of your ring size? 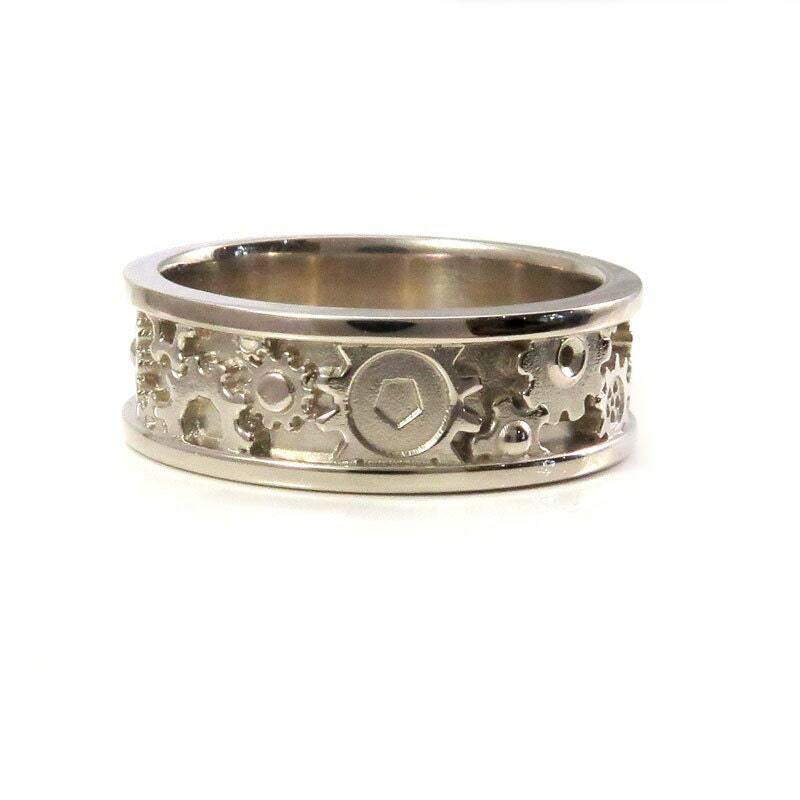 Send me a message with your mailing address and I'll get a ring sizer in the mail to you for free!